South Africa's Western Cape Health Department has told protesting Zimbabweans to leave Cape Town's Groote Schuur Hospital saying vice president Constantino Chiwenga is not being treated there. "Western Cape Health Department confirms Zimbabwe's Vice President, Constantino Chiwenga is not being treated at Cape Town's Groote Schuur Hospital," SAfm radio revealed on Twitter Monday. 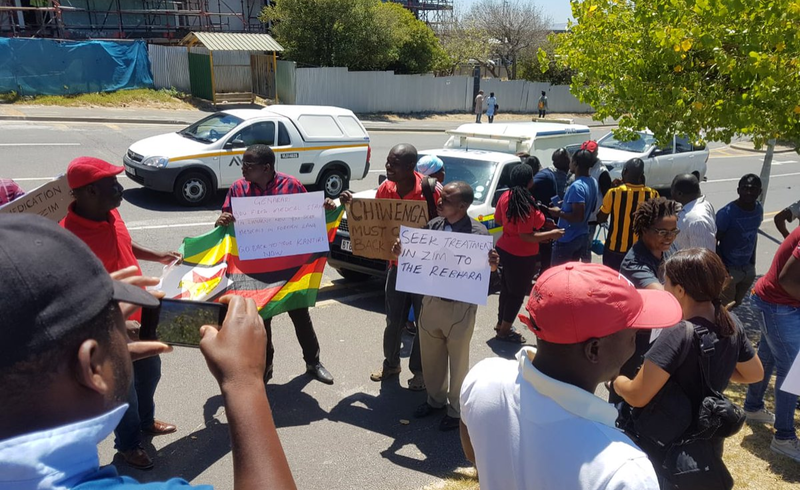 "A group of Zimbabwean nationals are protesting outside the hospital, calling for Chiwenga to go back home to receive treatment there." They said Chiwenga is part of a government which has presided over the collapse of the country's health sector which was recently hit by a two-month strike by doctors complaining about the lack of drugs and power conditions. Said lobby group Citizens Forum Zimbabwe; "We must help our people by telling Chiwenga to go back home and get treated at Parirenyatwa like the rest of us!" A statement attributed the department's communications officer, called on the protestors to direct their demands at Zimbabwean authorities. "In honour of our commitment to patient confidentiality, we cannot discuss patient details. however, we can confirm that he was not or currently is a patient at the hospital," read the statement. "We urge the community to direct their requests to the Zimbabwean authorities and to respect our hospital premises as a healing environment for patients. "Health staff should be given the space to continue uninterrupted with their patient care."